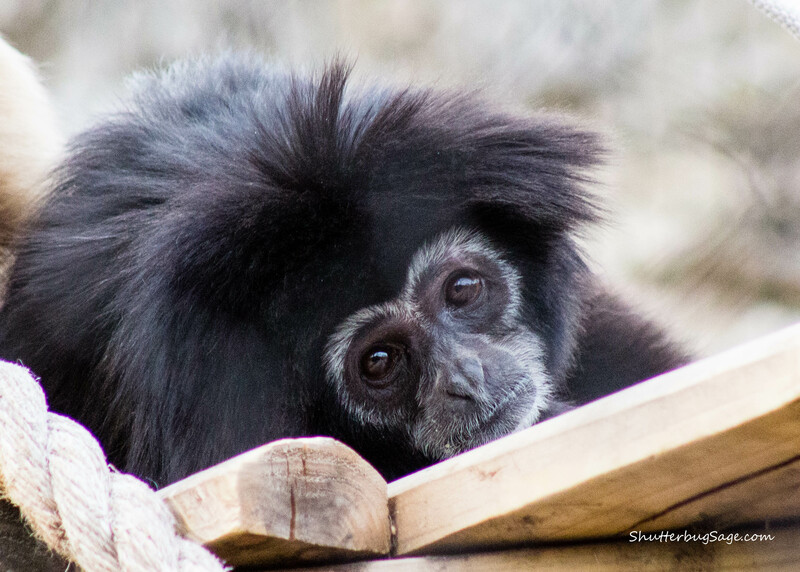 Gibbons are lightweight apes that can weigh between 10 and 30 pounds. Like all apes, gibbons don’t have tails. Unlike all apes, gibbons mate for life. The lighter colored arm just to the left of this shot, belongs to this cutie’s mate, and every time I’ve visited the Sunset Zoo, the two of them have been either cuddled up together or grooming each other.